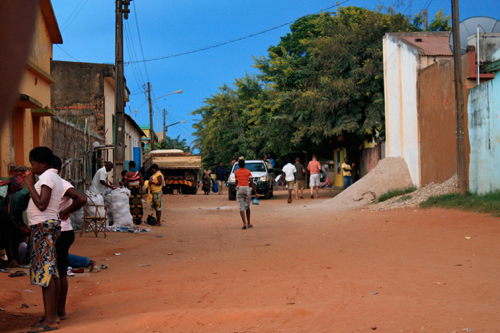 Part II of John’s epic 6-part wrapup of our Mozambique trip. To be continued tomorrow! Getting out of Maputo was hectic – took us about 2 hours to go the first 20km due to the makeshift markets lining each side of the highway and the sea of people. Once out of town there were about a hundred speed traps on the 5 hour drive. The rule of thumb is – don’t speed in Moz! The cops there don’t make much money, and love to accept a nice fat ‘donation’. We took our time and only got pulled over 3 times (among the 3 cars) with zero tickets. My favorite was my own car being pulled over – the cop waved me to the side of the road, I complied, rolled my window down, and asked the standard ‘is there a problem officer’? He proceeded to ask where we were headed and was dumbfounded by my answer of Inharrime (you’ll see why later). I waited for him to say what I did wrong and how much it would cost when he asked – ‘do you have any cool drinks?’ I said we had water and a warm Diet Coke, which made him quite sad. He asked – ‘no Coke?’, I said nope, he asked ‘no Fanta?’, I said no, he said ‘let me see the Coke Light’, felt the can with the back of his hand, frowned, and waved me on saying ‘you can go.’ Classic! 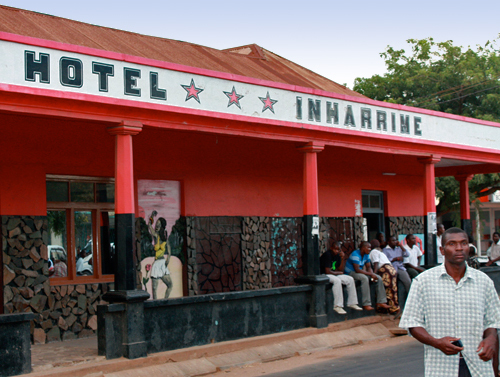 We pressed on to Inharrime, which is on the main highway that runs all the way through Mozambique. While it’s on the main road, it’s not a tourist destination and most people just pass through. The farm is about 23km outside of town, with 110 hectares of cashew trees, a harvesting facility, 3 amazing guest cabins, 2 furnished campsites, a staff house, generator building, and an amazing assortment of beaches, piers, braais, and beauty. When Terry was in town getting some supplies for the farm about 5 years ago and saw a hottie white chick walking through town away from the main road, he drove by to ask if she was lost. That was Steph on her first day in town looking for her new house. Now they’re married and living in Durban and two of our best pals. The best part of the trip was going around with ‘locals’ who knew where to go, what to see, how to speak Portuguese, and made us feel so comfortable in their home away from home. There’s something very freeing about not planning a thing and just putting your holiday in someone else’s very capable hands. Not exactly the Ritz, but who cares?! The slideshow is the same as yesterday’s – just added it here in case you missed it.